Ideal business location with AMAZING visibility and copious parking. Are you looking for a spot for your business with a unique upscale look? This versatile destination is ready to welcome a new spa, distillery, restaurant, massage therapy group, museum or whatever you come up with. Your dream starts here. With fantastic visibility and a 200 year tradition, Hagan's Tavern is ready for a new enterprise. This famous restaurant & tavern location has been home to many successful restaurants in the past and it's luster and charm returned, ready for a new concept. The main structure of Hagan's Tavern was built around 1785 to serve as a public house for travelers on the Olde National Pike, which at the time was the main thoroughfare between Baltimore and Cumberland and the gateway to the western frontier. Hagan's was one of many taverns on the pike, but kept a reputation for having the best food, thereby attracting gentry as well as drovers. Hagan's Tavern's guest list has included George Washington, John C. Calhoun, Andrew Johnson, as well as Henry Clay. 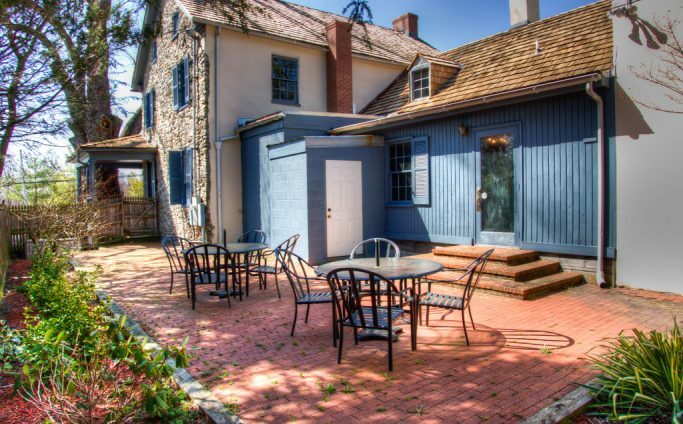 Through the years, Hagan's Tavern has served varied roles: private home, resort, restaurant, tavern, inn and for a period in the 1930's, a speakeasy. Hagan's Tavern has also served as headquarters for soldiers and officers from both armies during the Civil War. Original wall murals adorn the walls of some of the dining areas which depict glimpses of the styles of Moses Eaton, Rufus Porter as well as the Zuber School of 18th Century wall covering. Created by local artist Virginia Jacobs McLaughlin, this unique display of artwork is only one of the many details of Hagan's Tavern that has created a romantic atmosphere for its guests. Schedule a showing and see for yourself how this refreshed location could work for you. If you're thinking restaurant or brewery or distillery, the lovely patio provides for an al fresco experience, as an alternative to the cozy and warm interior areas. The property also offers warehouse space in the adjacent building. Questions?If you would like some more information on Hagan's Tavern, please fill out the form below.